Thank you for all of the responses to my last post. I am going to try to cover as much as possible over the next bunch of weeks. Just a reminder that if you have a specific behavior/research question that you are having trouble coding, feel free to contact me for some ideas. Also, if you ever have suggestions for me to improve anything I have demonstrated, I would love to hear them. This blog is meant to open a dialogue between Studiocode users. I love to use my code windows as a presentation tool. You have already seen some of my code windows where I have scripting everywhere to calculate frequency counts, durations, and percentages. 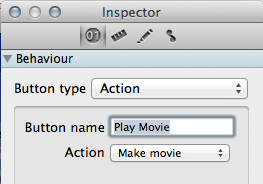 Today I am going to show you how to call up strings of videos in your code window as well. This is useful when presenting and also when you want to double check your coding.